Lincoln is back in a big way. The struggling American luxury automaker has brought back the its most famous nameplate hot on the heels of the stunningly redesigned MKZ. The new Continental will borrow the 3.0-liter twin turbo V6 good for 400 hp and 400 lb-ft of torque. Unfortunately, like the MKZ, the base Continental will have FWD, but AWD is available. When you are cruising in the private jet-inspired 30-way adjustable seats with massage, heat and cooling features, we don't think you will care much about the FWD. In fact, you may never want to drive this car at all when you see how luxurious the back seat is. Rear seat occupants are also treated to seats that recline as well as heat, cool, and message. There are also sunshades as well as rear climate controls. 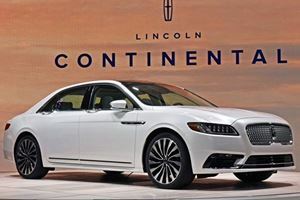 All of this sounds like the Continental has what it takes to compete with well established German luxury cars like the Mercedes S-Class and BMW 7 Series. So can the Lincoln compete with the Mercedes and BMW which start at $95,000 and $84,000 respectively? The new 2017 MKZ with the 3.0-liter GDTI V6 and AWD will start at around $42,000. while the Continental tops out around $69,000 with the same engine and "Black Label" trim. That is still way less than even the most basic 7 Series BMW. While the Continental may not cost S-Class money, it will be the first time an American company has taken a shot this close to the uber-expensive German models. We doubt that too many S-Class owners will be terminating their leases for a Lincoln, but this car may be perfect for people who aspire for unparalleled comfort, but don't have enough for a six-figure car. 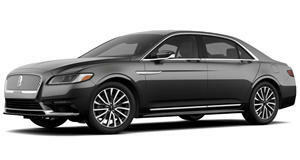 With pricing starting at just $45,485, the Continental will most likely compete with the Kia K900 and offerings from Hyundai's Genesis sub-brand. 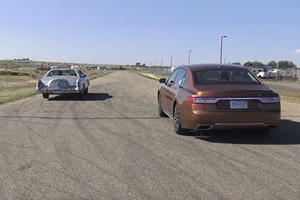 We think that the Lincoln Continental may have an interesting battle ahead of it. The Continental name is legendary, but it hasn't been in production since 2002, and that model was pretty bad. Only time will tell if Lincoln has really redeemed itself. 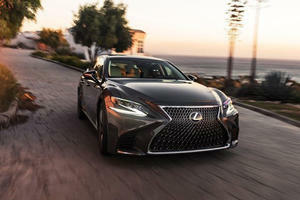 Based on the Continental's base price, it will compete with a multitude of cars from Hyundais and Kias, to the Lexus ES. For the first time in a long time, we think Lincoln actually has what it takes to compete with "real" luxury automakers. The Continental will be Lincoln's redemption. So, in theory, you could drive the entire lineup in seven months. These cars all undercut their German rivals on price, without skimping on luxury. A massive engine with gobs of torque races Ford’s new 3.0-liter EcoBoost engine for prestige.